The SynqNet Interest Group exists to promote and advance global SynqNet adoption in performance motion applications. In addition, the group aims to ensure the ease-of-use and interoperability of SynqNet products for end users and OEMs, and educate system and design engineers on how best to leverage the architectural and technological advantages of SynqNet. The SynqNet Interest Group is open to anyone interested in learning more about SynqNet and why it is the most widely accepted motion network with over 1,000,000 axes running on SynqNet worldwide. Full access to read and download a variety of SynqNet articles and case studies. 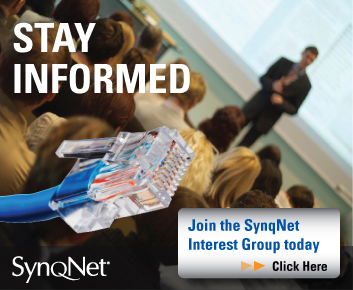 Receive quarterly newsletters about the latest SynqNet developments. Do you have a question about SynqNet? 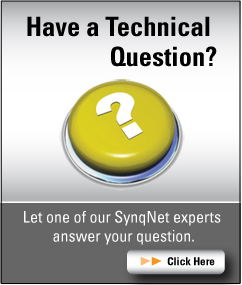 Send us an email and one of our SynqNet experts will personally answer your question. Invitation to yearly meetings to hear about all the latest developments in SynqNet.